It is essential that an air conditioning company keeps up to date with pending changes in technology and energy regulations. This is not only so the air conditioning company can ensure continued compliance, but also to ultimately better serve the customer. 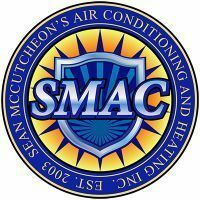 For example: Sean McCutcheon's Air conditioning and Heating has been recommending Environmentally Safe refrigerants since 2004. 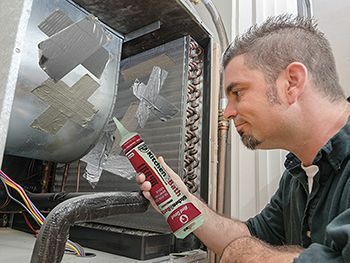 Some other air conditioning companies did not bother to inform their customers of the phase out of R-22, and as a result those customers have seen sky rocketing maintenance costs. Today's voluntary guidelines often become tomorrow's state and federal policies. For instance, in 2001 the EPA Energy Star Program enacted voluntary energy consumption guidelines for commercial refrigerators and freezers. The California Energy Commission later used those guidelines as the basis of a state law. Sean McCutcheon's Air Conditioning and Heating, inc. proactively anticipates changes in regulations and advises customers as to the best option when deciding to repair or replace their Air Conditioning System. By complying with existing and pending energy use regulations we are able to help the customer select the most energy efficient products that will save them the most money in the long run with the least amount of maintenance. We routinely try to discover financial incentives to offer to customers so they will consider installing the most energy efficient equipment. We have also made it a point to be involved with LEED rated homes whenever possible. LEED stands for Leadership in Energy and Environmental Design. Some companies claim to be Green friendly, but at Sean McCutcheon's Air Conditioning and Heating, inc., we go out of our way to prove we are genuinely concerned about the environment and sustainable development.